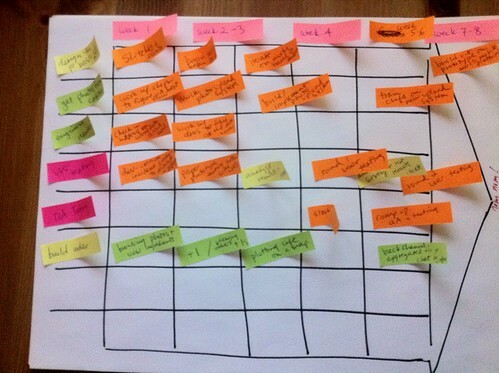 Short, thoughtful review of Gamestorming by agile coach Renee Troughton. If you live in or near Boston, you’ll have a great (and rare) chance to learn about gamestorming from a true master and co-author of the book. James Macanufo will be speaking March 1st at an Agile New England event. Creating a culture of creativity and innovation can be a daunting challenge. How can you make it happen with your team and your customers? One tool to add to your kit: Gamestorming. Join Agile New England and author James Macanufo in learning Gamestorming concepts and visual thinking techniques that lead to better understanding, ideas, and experiences. See how these ideas are being applied in the real world to build stronger teams and more meaningful results… and have some fun trying them out! It doesn’t matter who you are – business strategist, designer, agile practitioner – everyone is welcome and will benefit. This is an awesome opportunity, not to be missed. Considering the actual “instruction” part of Gamestorming is only 52 pages, I took a crazy amount of notes as I read through it. Perhaps this speaks to the uniqueness of this book. Perhaps it’s a reflection of how many ideas it sparked for my own life and business. Regardless, I can comfortably say that it’s been a while since I so enjoyed reading a business book. Actionable books distills business books down into core lessons for quick action. 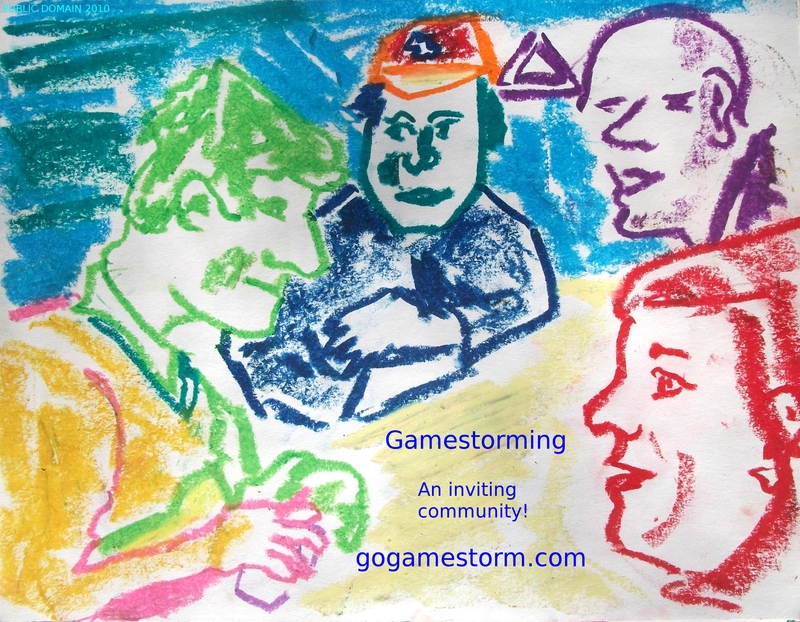 Show us your Gamestorming pictures and win a free iPhone app! As some of you know, we are working on a Gamestorming iPhone app, the Gamestorming card deck. Each card describes a game that you can apply to any number of business settings, including object of play, step-by-step instructions and strategies for making it work. Create a card stack of your favorite games and use it to plan your next meeting. Then when you are in the meeting, pull up the stack on your iPhone for easy reference. Over 100 games and counting! As we add new games to the Gamestorming deck your app will be automatically updated. The Gamestorming card deck will include all of the games from the Gamestorming wiki. But we need your help. We want each card to look beautiful, with a picture of the game being described. And to do that we need great photos like this one from Brynn Evans. If we use your photo to illustrate a game then you will get a promo code that will let you download the app, pre-release, for free, as our way of saying thank you. 1. Find a game on the Gamestorming wiki that doesn’t have a color photo at the top of the page. That is, a page like this one (which has no image at the top), or this one (which has only a black-and-white diagram such as those in the book). That’s because we want the cards to have beautiful color photos of the game in action, like this bodystorming photo by Christian Crumlish, not just a dry black-and-white diagram. 2. Join the Gamestorming flickr group and submit your photo to the group. Make sure you give the photo a Creative Commons, Attribution-only license. The title of the photo should match the game you are submitting it for. 3. Send us an email at gogamestorm (at) gmail (dot) com with a link to the photo. We look forward to seeing your photos, and thanks in advance for your help! Gamestorming is an amazing way to improve the performance of teams. Unfortunately, Gamestorming doesn’t work too well when your team is distributed. In this guest post, written by Luke Hohmann (who also wrote the foreword to Gamestorming and his own nifty book, Innovation Games), Luke will describe some of the tools his company has created to enable distributed teams to gain the benefits of serious, collaborative play. 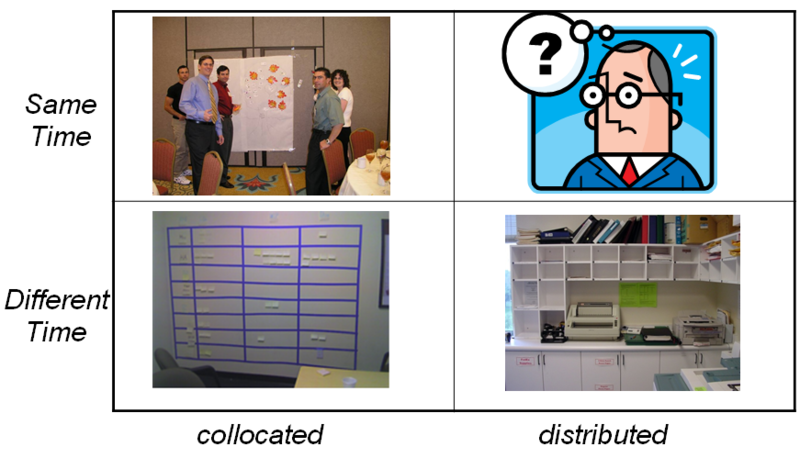 Researchers in the field of Computer Supported Cooperative Work (CSCW) typically organize work as a grid in two dimensions. The first is time: either your doing work at the same time or at different times. The second is the physical structure of the participants: you’re either co-located, standing or sitting next to each other; or distributed, in different offices, buildings, or continents. Here’s a sample picture. Happy gamestormers in the top left playing Prune the Future. The games described in our respective books occupy this quadrant as they are same-time, same place games. A Scrum team’s taskboard is shown in the lower left. In the lower right, we have a standard mailbox. And in the top right? Well now, that’s a problem for the our intrepid Gamestormer: you can’t easily put a sticky note or index card on your monitor and play games with other people. But My Team Is Distributed! Yup. The realities of the modern workforce means that you’re likely to be working in a distributed team. And while it is trivial to say that we’re working in an increasingly global set of team, it is not trivial to say that we’re working with a pretty crude set of tools to help us accomplish our goals. Unfortunately, that leaves people who want to Gamestorm in distributed teams with a lot of questions and not enough answers. Consider, for example, this post that Dave and Luke wrote together. We agreed to write this together through a combination of email and tweets. Luke then wrote the first draft directly in WordPress. Dave edited this. And this cycle continued until we published it. According to the CSCW grid, we used a different time/different place technology. And it worked well enough. But what if we had wanted to work together on the same document at the same time? CSCW researchers have been working on this for quite some time. For example, in 1968 Doug Engelbart gave an amazing demonstration of shared, collaborative editing over a wide area network (see a great presentation on this, including cool videos, here). In the early 90’s researchers at the University of Michigan created ShrEdit, a shared (collaborative) document editing platform. A more recent example is EtherPad. These systems, and many others like them, provide excellent platforms for one kind of collaborative work – collaborative text editing. Unfortunately, shared document editing is not the right kind of solution for distributed Gamestorming teams because each of the games has a unique set of goals, rules, and contexts. However, by understanding the kinds of collaborative goals that motivate Gamestorming, we can design a solution that meets their needs. use simple rules for structuring the placement “game tokens” (such as post-it notes), including how many tokens can be placed, the meaning of the tokens, and where and/or how the tokens can be placed. This is an abstract definition, so let’s use two games to illustrate these concepts. 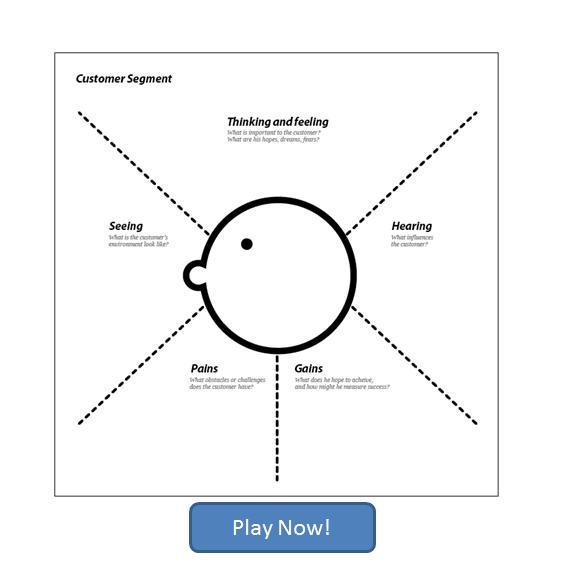 In this game, the visual metaphor is a stylized head that helps player develop a deeper, more empathetic, and more personal understanding of stakeholder’s experiences in a business ecosystem. The head is divided into sections based on aspects of that person’s sensory experiences, such as what they are thinking, feeling, saying, doing, and hearing. Tokens are post-its or other artifacts that are placed on this visual metaphor represent the players best understanding of the person’s real, tangible, sensory experiences. For example, anything placed in the “hearing” section represents what that person might hear and how might hear it. While it is common to use Post-Its for this game, Luke has encouraged in-person players to add physical objects to the “empathy map game board” as a way to capture as much “empathy” as possible. In this game, the visual metaphor of a tree is used to represent traditional product and/or service roadmaps. 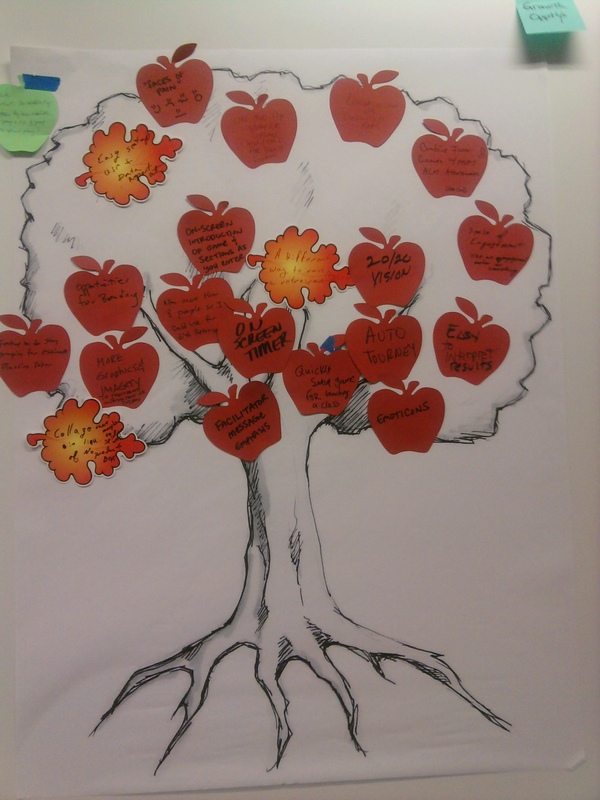 The evolutionary growth of the product or service is captured in the tree, with branches representing broad product capabilities or areas of service, and apples and leaves representing discrete roadmap items. Trees can be identified via various growth areas – “sooner” and “later” or “this year” or “next year”. The physical metaphor of pruning a tree to ensure healthy growth enables players to “prune” unnecessary features from a product or offers from a service portfolio. Grid / Matrix Games: Perhaps the most common visual collaboration games are the various grid games. Examples include: Boundary Matrix, WhoDo, SWOT Analysis, Pro/Con List, Plus/Delta, Impact & Effort Matrix, and How-Now-Wow Matrix. Business Games: These games are based on powerful images used to help business teams understand complex problems. Examples include Levitt’s Whole Product Model or Collis’s Sweet Spot of Strategy. Time-Centric Visual Games: These games rely on visual representations of time to help structure play. Examples include Pre-Mortem, Remember the Future, and Start Your Day. Custom Visual Games: These games rely on special visual metaphors to capture and guide participants. Examples include: Cover Story, Prune the Product Tree, Speed Boat, and Context Map. Disappointed that your favorite game isn’t listed? Don’t be. 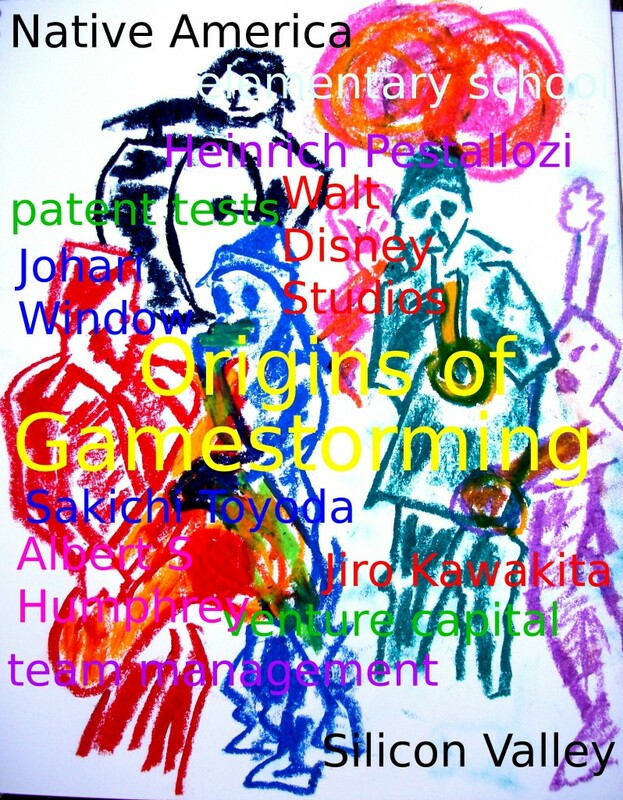 While we’re trying to collect all of the games that we can into the Gamestorming wiki, the reality is that if you’re a good gamestormer or Innovation Gamer, you’re going to be inventing visual games as needed for special circumstances. And once you play them in-person, chances are pretty good that you’ll want to play them online. Sounds Great! I Want To Play ONLINE Right Now! Smiley Faces: Use smiley faces to indicate what would make your persona happy. Grim Faces: Use grim faces to indicate what would make your persona concerned. Frowns: Use frown faces to indicate what would make your persona unhappy. The benefits of playing in-person, co-located visual collaboration games are considerable. The visual metaphor guides the group in solving a critical problem. You have a shared artifact that captures key aspects of your collective understanding. The results of the game play can be used and shared with others. And many times you don’t have to tell the participants that they’re playing a game, which can be important when introducing serious games to organizations who might be resistant to change. Players can just smile and compliment themselves on having a good time solving a problem. And now, the power of online games means that we can use the same visual metaphors to enable distributed teams to solve complex problems. We can add semantics to the images so that we know where items are placed. The system acts as a perfect Observer, silently recording every event, so that we can analyze the results of multiple game plays with many distributed teams. And the flexibility of online, visual collaboration means that we’re only limited by what we want to try. We’re going to be adding more instant play, online collaborative games to the Gamestorming wiki over the next few weeks. To learn more about how to convert any Doodle or image into an online, collaborative game, read this post. I had a surprise client turn into a favorite client recently, namely ViaTech Global Publishing. Kurt Heusner, the CMO, tracked me down like many of my clients – through the semantic web – and together we planned a really successful session for 75 of their top team members. I met with Kurt before Gamestorming was published and, because our planning continued after the book was released, we had the opportunity to design the 2.5-day meeting specifically around the participatory work in the book. We used techniques like The 5 Whys, The Blind Side, and Empathy Mapping and I gave the group a short talk on Best Practices for Presentations (you can click on the image above to see the five practices I chose). At the end of the retreat each team gave a storyboarded presentation as a sales pitch for ViaTech and the visual thinking the group did the two days prior was intensive. Kurt and I both got fantastic feedback from the employees (the visual and participatory work was, for me, almost magical to witness) and everyone got a copy of Gamestorming. I’m telling you, folks, if you really do want problem-solving and innovation to occur, you’ll do no harm to dive into visual thinking meeting techniques. They give you, as I’ve witnessed dozens and dozens of times, productivity on steroids. See David Sibbet’s recent book, Visual Meetings, for more proof positive. Until next time, game on. 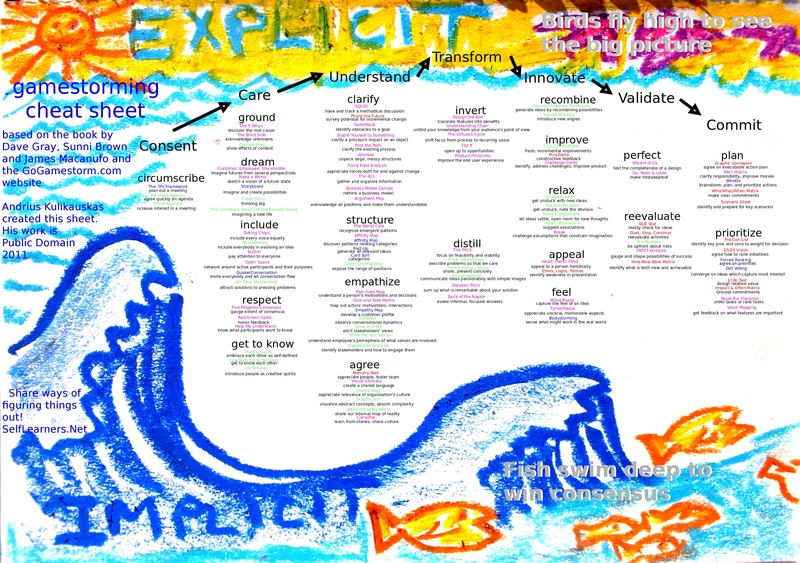 Gamestorming makes vivid for me the culture in which I wish to live. It’s a culture which meets us where we are, which encourages us to stretch and grow, just a bit at a time, with every game we play. Each game has an object of play, and so we can feel safe that we know why we’re playing it. We can play games that are tried and true, we can adapt them and combine them, and we can create entirely new games, as needed. 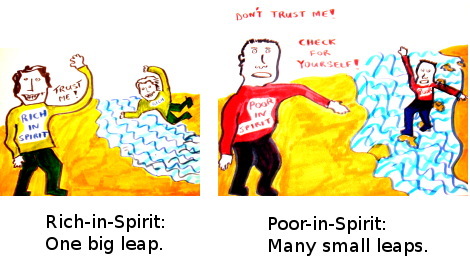 In my own words, it’s a culture of the poor-in-spirit who want to take many small leaps of faith (as in I’d like to check this out) rather than just one big one (as in Trust me!) Gamestorming makes real my belief that every way of figuring things out can be shared as a game. I’d love to know, apply and share a directory of these many ways in math, science, engineering, medicine, finance, law, ethics, philosophy, theater, art, music, architecture, agriculture, homemaking and many other fields. Happily, Gamestorming is an inviting community, and for me, a logical place from which to reach out to other practices and appreciate them. And so I learned of Dave Snowden and the Cognitive Edge research network focused on sensemaking. They develop and share a set of methods, some of which, like Ritual Dissent, are very much games in the Gamestorming sense. I believe that others, like the Cynefin framework, make for advanced games, which take some time to learn. I engaged Dave by way of Twitter. He tweeted: Give me a reference to gamestorming and I will happily take a look. The best summary that I could find was the Amazon review, which reproduces the back cover. So I thought a good project would be to create a Wikipedia article on Gamestorming. Wikipedia’s guidelines for inclusion don’t allow articles to be created for neologisms. A subject most be notable. 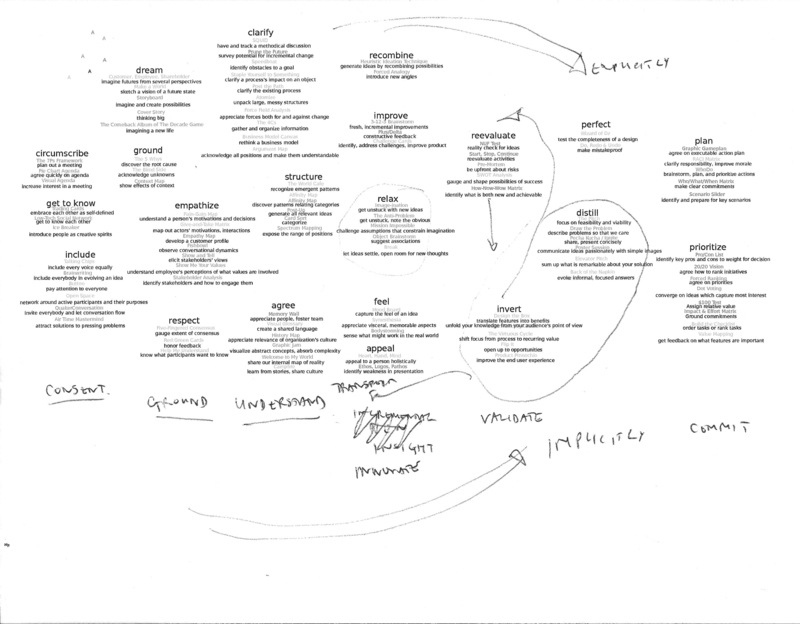 So I included academic references to Gamestorming, such as Jon H.Pittman’s syllabus for Design as Competitive Strategy, Christa Avampato’s use of Gamestorming in her social media marketing class and Franc Ponti’s talk on Trends in innovation for restless people. I submitted my article for review by Wikipedia editors. Within an hour or so, they put it up: the Gamestorming article. Button is inspired by the Native American Talking Stick tradition. NUF Test is based on patent tests. Poster Session derives from the poster sessions in academia. Show and Tell is based on Show and Tell that many of us know from elementary school. Storyboard is credited to Walt Disney Studios, see Storyboarding. The Blind Side is inspired by Joseph Luft and Harry Ingham’s communication model Johari Window. Toyota founder, inventor Sakichi Toyoda developed the 5 Whys, the basis of Toyota’s scientific approach. Affinity Map: Jiro Kawakita in the 1960s developed the KJ Method, also known as Affinity diagram. 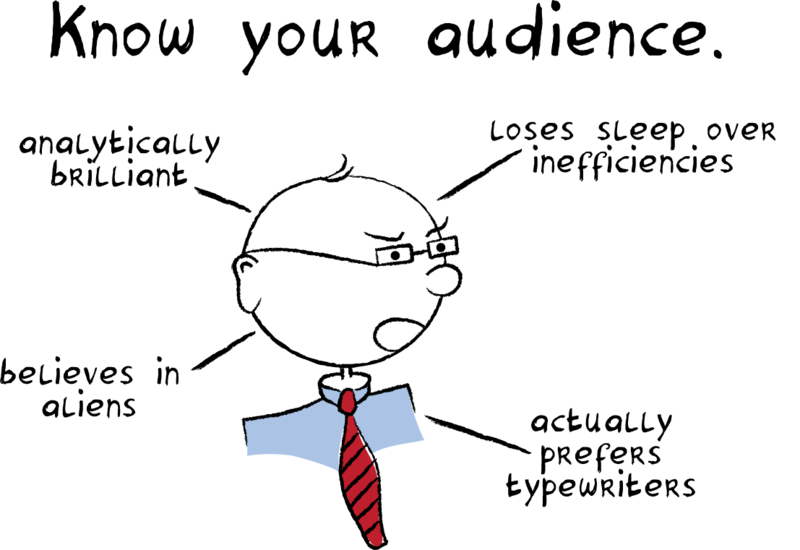 SWOT Analysis is based on Albert S Humphrey‘s SWOT Analysis. Card Sort: Card sorting is used by information architects. Elevator Pitch: Elevator pitches are commonplace in the venture capital community. RACI matrix is a tool of team management. 4 Cs is based on a game by Matthew Richter in the March 2004 publication of Thiagi GameLetter. Brainwriting is credited to Michael Michailko’s Thinkertoys and also Horst Geschke and associates at the Batelle Institute in Frankfurt, Germany, and also related to 6-3-5 Brainwriting developed by Bernd Rohrbach. Bodystorming was coined by Colin Burns at CHI’94 in Boston, Massachusetts. See: Bodystorming. Business Model Canvas was designed by Alexander Osterwalder and Yves Pigneur, and featured in their book, Business Model Generation. Campfire was inspired by Tell Me A Story: Narrative and Intelligence (Rethinking Theory) by Roger Schank and Gary Saul Morson. Customer, Employee, Shareholder is based on the Stakeholder Framework developed by Max Clarkson in A Stakeholder Framework for Analyzing and Evaluating Corporate Social Performance in the Academy of Management Review (1995). Design the Box is attributed, independently, to Luke Hohmann, Jim Highsmith and Bill Schackelford. Context map, Cover Story, History Map, Visual Agenda and The Graphic Gameplan are credited to The Grove Consultants International. Fishbowl is based on ideas from Facilitator’s Guide to Participatory Decision-Making by Sam Kaner et al. Force Field Analysis is based on Kurt Lewin’s framework Force Field Analysis. Graphic Jam is inspired by Leslie Salmon-Zhu of International Forum for Visual Practitioners. Help Me Understand is adapted from Facilitator’s Guide to Participatory Decision Making by Sam Kaner and inspired by Five W’s and H in Techniques of Structured Problem Solving, Second Edition by A.B.VanGundy, Jr.
Heuristic Ideation Technology is documented by Edward Tauber in his 1972 paper HIT:Heuristic Ideation Technique, A Systematic Procedure for New Product Search. Image-ination is based on Picture This! adapted from the Visual Icebreaker Kit. Make a World is inspired by Ed Emberley’s book. Open Space was invented by Harrison Owen, author of Open Space Technology: A User’s Guide. See: Open Space. Pecha Kucha / Ignite, first held in Tokyo in 2003, was devised by Astrid Klein and Mark Dytham of Klein Dytham architecture. 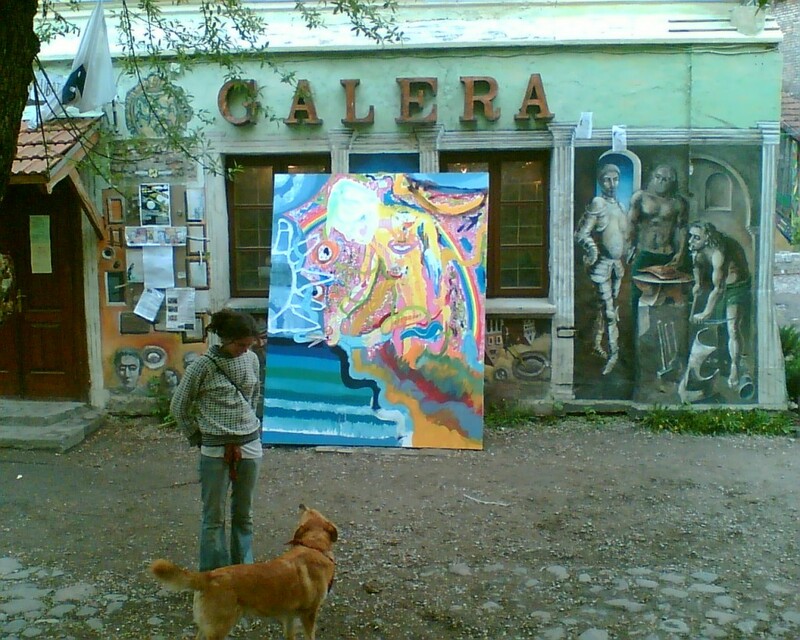 See: Pecha Kucha. Post-Up is based on exercises in Rapid Problem-Solving with Post-it Notes by David Straker. The Pitch and Value Map are by Sarah Rink. Red:Green Cards are by Jerry Michalski. Speedboat, 20/20 Vision and Prune the Future are based on Luke Hohmann’s innovation games in his book Innovation Games: Creating Breakthrough Products Through Collaborative Play. Talking Chips was inspired by the email program Attent by Byron Reeves. Wizard of Oz was pioneered in the 1970’s in the development of the airport kiosk and IBM’s listening typewriter. The World Cafe as practiced at The World Cafe. Dave Gray, Sunni Brown and especially, James Macanufo contributed many new games to the Gamestorming book. Please, let’s remember all who have created games. They are our points of departure for Gamestorming as a culture. Gamestorming is in the top 100! Gamestorming is in the top 100!, originally uploaded by dgray_xplane. 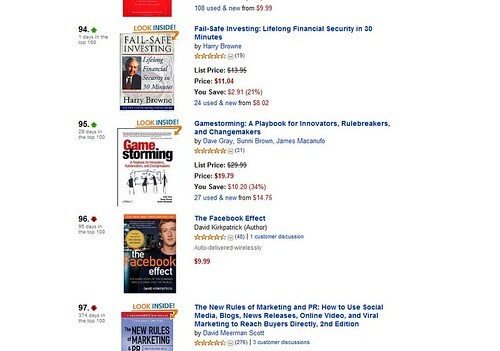 Gamestorming hit Amazon’s top 100 business books today! Watch out world! 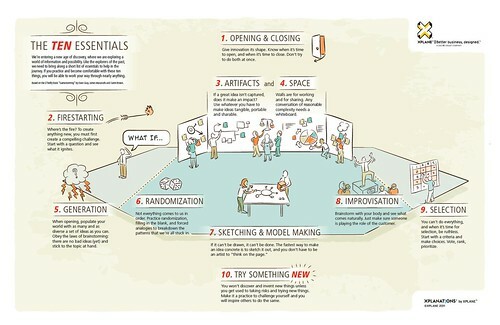 The ten essentials of Gamestorming, originally uploaded by dgray_xplane. Overview of the ten essentials of Gamestorming, which you are free to use in your workshops or gatherings as a handout, print out as a poster, or share online. Hopefully a useful resource! You can view the pdf, add comments, or download it here. The Gamestorming book lists more than 80 games. I share a visual cheat sheet that I made in my own exploration of how the games fit together. I see a process of transforming an existing solution into a new solution: Consent -> Care -> Understand -> Transform -> Innovate -> Validate -> Commit. I think that the climax is when we shift to a new perspective, for example, when we shift from features to benefit, from our answers to our audience’s questions, from our processes to our activities’ significance to others, from what we want to say to what we want others to hear. Once we’ve made this shift, then we’ll find an incremental way to innovate, we’ll vet that and commit to it. But to prepare for that shift, we have to sift through the details and understand what we’re involved in; and to do that wholeheartedly, we have to orient ourselves around our dreams and our concern for each other; and that depends on our voluntary participation. I imagine that this horizontal movement takes place at many scales, fractally, from the smallest tasks to the largest missions, and certain steps may be skipped over, or rushed over, especially for smaller projects. I’ve also arrayed the games vertically, along a spectrum, as to whether they help us make progress explicitly, fleshing out structures of knowledge, or make progress implicitly, building consensus around how we feel. I think if we pursue both, then our group’s commitment is both intellectual and emotional. I conclude that I myself, in working with others, should focus more on the emotional side. (Click for the large image).